Home / concert / ed sheeran / malaymail / music / news / viral / Ed Sheeran’s concert tickets in Malaysia are all sold out! 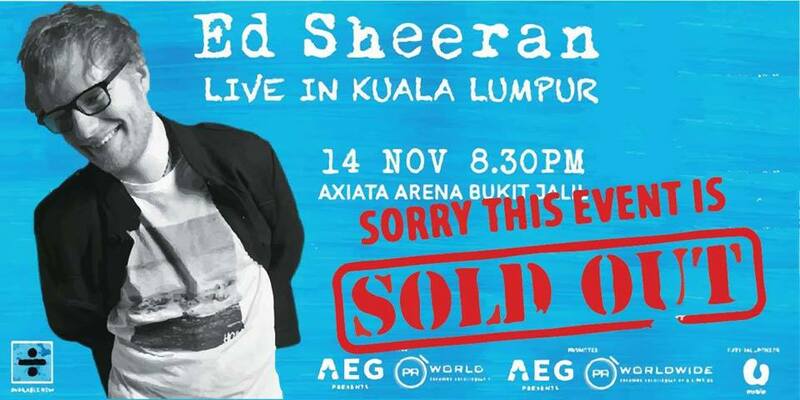 Ed Sheeran’s concert tickets in Malaysia are all sold out! 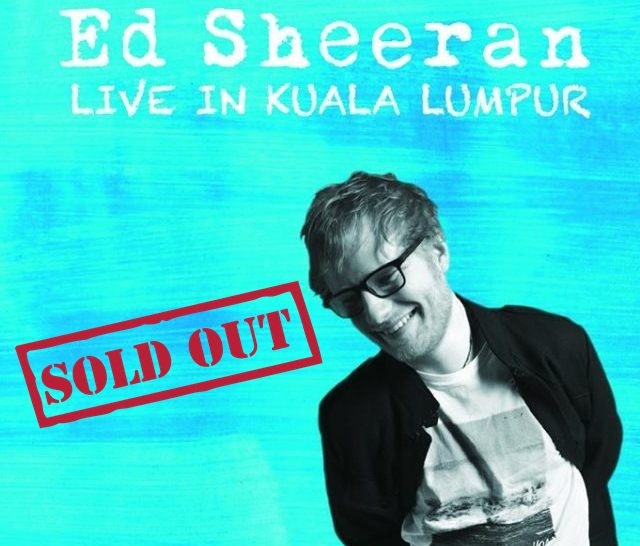 Suffering similar fate to its Singaporean counterpart, Ed Sheeran’s concert tickets in Malaysia were sold out in less than two hours after it had gone on sale. 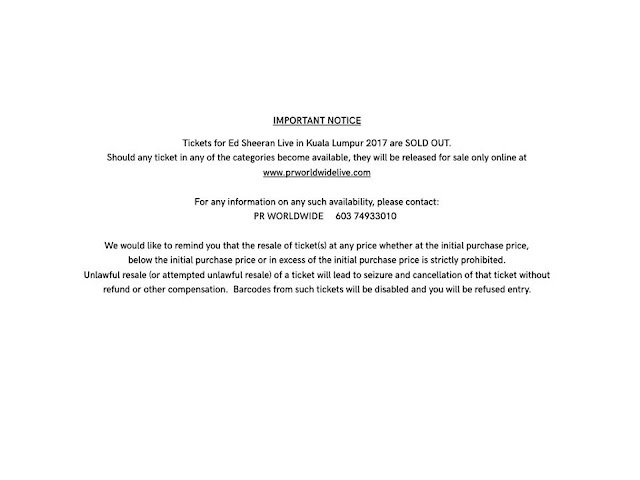 Tickets to the highly anticipated concert in Kuala Lumpur went on sale this morning on 15 May 2017, 10am via prworldwidelive.com and myticket.asia but were reportedly sold out at 1.20pm. Pricing between RM198 to RM458, many fans were infuriated that they had to participate in a long cyber-queue but still end up not getting a single ticket at all. 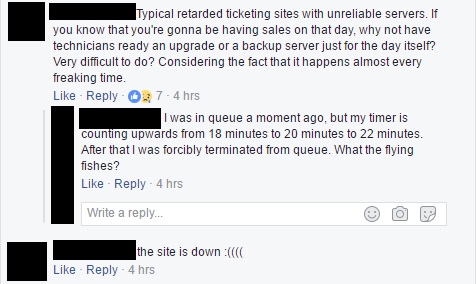 Several fans have confessed that they have been waiting on the site since before 10am and when they are in the online queue, the waiting time starts to increase as time passes. 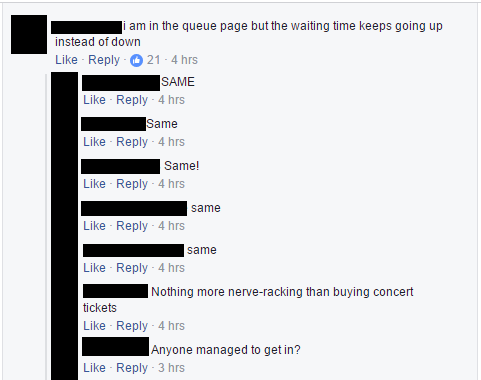 While some may be lucky enough to get tickets after queuing for so long, others get told that tickets have been sold out when they finally got out of the waiting page. 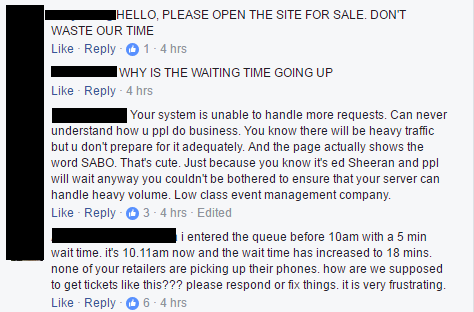 PR Worldwide Facebook page is currently flooded with complaints from fans who didn’t manage to purchase the tickets due to the flawed system on the site. 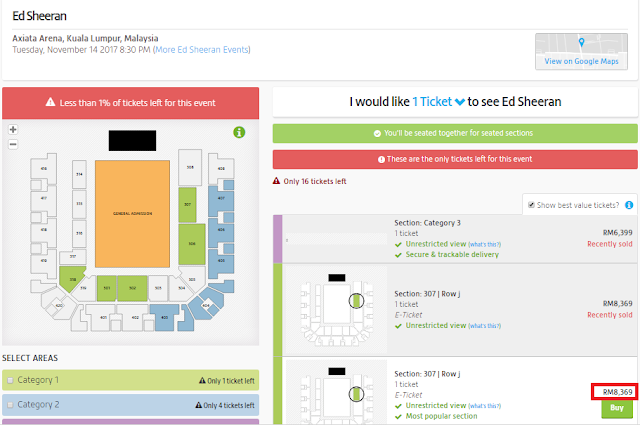 In the meantime, while diehard fans are battling hard for their Ed Sheeran concert tickets, unofficial ticket reseller sites like Viagogo are currently selling the tickets for as much as RM8,369! 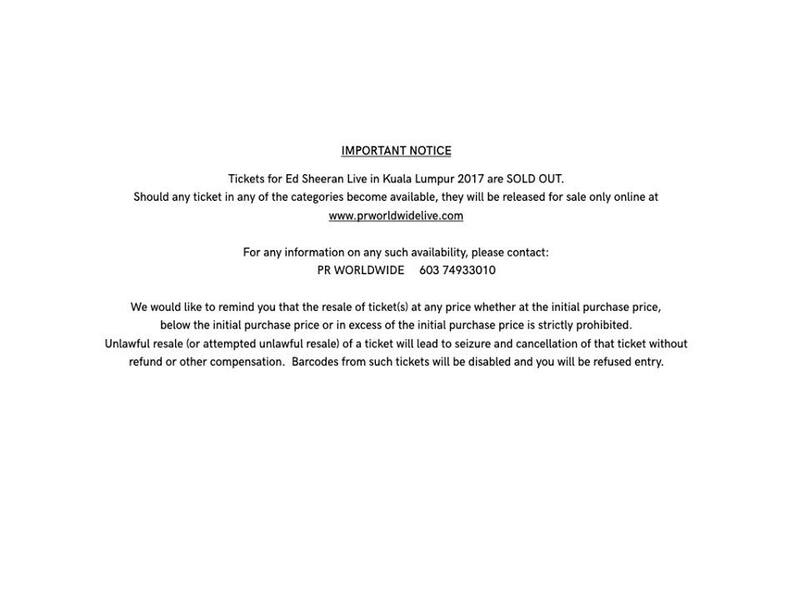 However, organiser PR Worldwide has issued a statement, saying, "resale of ticket(s) at any price… is strictly prohibited. Unlawful resale of a ticket will lead to seizure and cancellation of that ticket without refund or other compensation. Barcodes from such tickets will be disabled and you will be refused entry".